Please note that these dates do not guarantee delivery before December 25th. It has to be stressed that these dates have been given to us as a guide for when courier operations will be running. 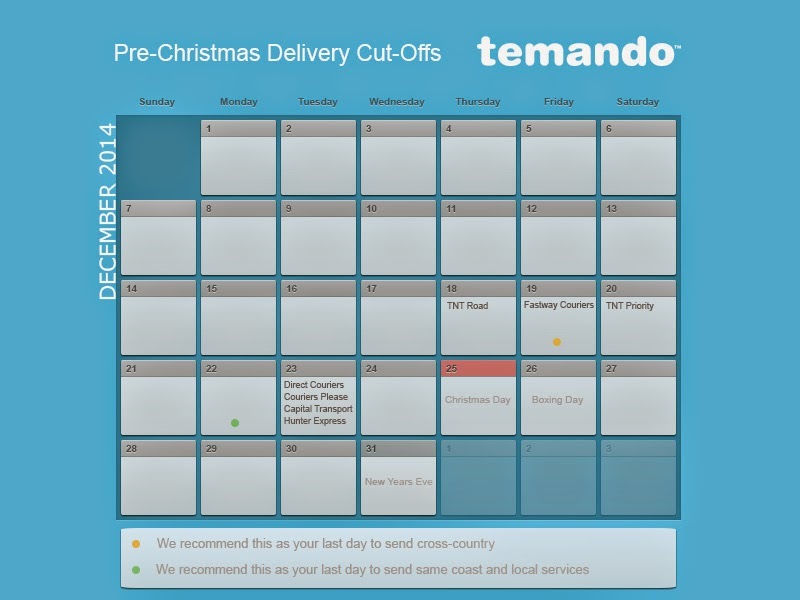 The week before Christmas Day is extremely busy for the delivery industry and just because a courier will pick up an order before Christmas does not guarantee that it will arrive in time. We recommend that any orders that are cross country (East coast to west coast or vice versa) need to be collected no later than the 19th of December. For orders that have a same coast or local destination, we would recommend collection on the 22nd of December at the latest.